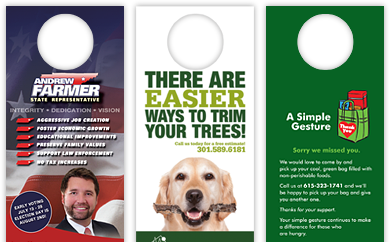 Door Hangers are a cost-effective and simple way to generate more business. We offer several sizes and coatings to suit any business. 4" x 9" 4.25" x 11"